No Fenders -Formula 1, IndyCar and A Whole lot more..: McLaren Today: Can They return to Their Former Glory? McLaren Today: Can They return to Their Former Glory? That said, wisely, or shrewdly? 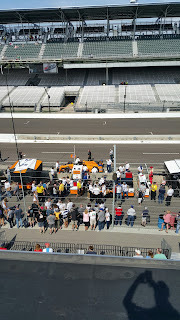 Zak Brown came across refreshingly Fresh to Mwah sometime late 2017-ish; Err during thou Month 'O May, when I was totally impressed with his No Nonsense, Pleasant interviews sprinkled with paying Attention to Detail, while musing over the crafty decision regarding to take his Numero Uno Charge to Indianapolis. Which totally diverted Attenzione away from the faltering F1 side of Thar company. And this new McLaren "ButtonSpeak" ethos seems to carry on more in another interview with the McLaren Formula 1 Racing Director Eric Boullier, for whom I'm amazed doesn't have any Gray Hairs after the last three-plus year "Cruise" they've taken with Honda. "Although was it really the Honder' PU's fault? As we know that Zak Brown & Co. have visited the IndyCar Paddock on two separate occasions to sniff around for a competitive team to run with next year, which seems to be angling towards Mikey A's Andretti Autosport concern. 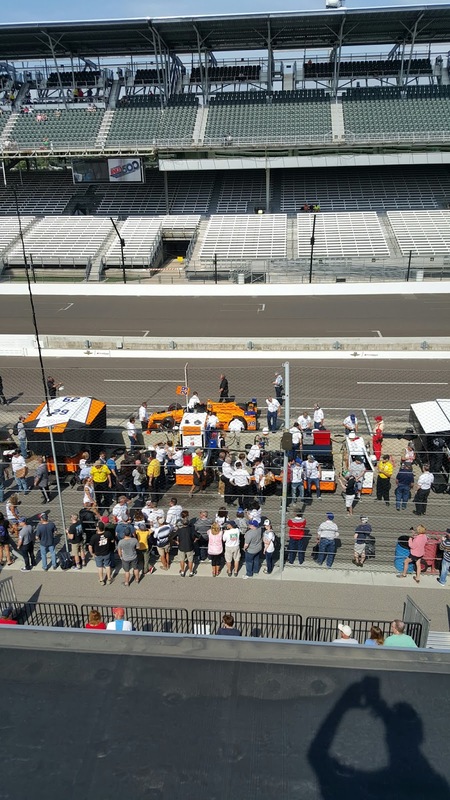 Which they've got previous experience with from their 2017 Indianapolis 500 partnership. As Mr. Saward notes how not only was Michael Andretti present on Il Notre Dam at Circuit Gilles Villeneuve over the Grand Prix weekend. But his top lieutenant J-F Thormann and Peter Rossi were in tow with him. Where they also apparently sniffed around the Force India F1 Garage. With the Power Unit (PU) supposedly being the most contentious problem for McLaren, could Zak Brown with Michael's aid engineer a Coup to purchase Force India in order to secure it's Mercedes Benz PU's? A la what good 'Ol Flavour Flav', nee HMS Monogram, aka Flavio Briatore did Wayback in the 1990's in order for Benetton to secure the potent Renault V-10's by purchasing Ligier. As keep in mind, this is all just Fanciful conjecture upon thou Part! Although I just had the scary thought that when Fernando comes to Indy Cars, does that mean Flavour Flav' will be lurking about the IndyCar Paddocks & Gasoline Alley at IMS? CRAP! Or could McLaren simply Farm Out Fernando to this new F1 concern? Which would then allow Alonso to just contest the Indy 500 in favour of the Monaco Grand Prix again? Although this seems unlikely, since reputedly McLaren wishes to keep Fernando from competing against them in Formula 1. Or could it becomes some sort of new Quasi McLaren "B-Team?" Since obviously Zak Brown & Co. will be anxious to get their Budding Star talent Lando Norris into a Formula One machine next year? Perhaps alongside Rossi? Or Stoffel Vandoorne? Since where my real intrigue sets in, is why was Alexander Rossi's father Peter in-tow Up North Eh! And would Michael Andretti really want to lose his brightest IndyCar Star to go overseas to plod along at the back of the F1 Grid? Or Mid-pack at best. and if Andretti does indeed team-up with McLaren? Does this mean they'll run a vast Armada of six Fulltime IndyCar entries? since one must ARSE-Sume' if the talked about Colton Herta, son of Andretti Herta Autosports co-owner Brian "High Speed Hurdles" Herta graduates to the B-I-G CARZ' next season, it'll surely be In-house with Andretti? thus I can envision a three-tier "separate" racing teams scenario for Andretti, with Ryan Hunter-Reay, Rossi and Zach Veach on the main "AA" squad. Provided Rossi doesn't return to F1. And the AHA team could bolster to a two car entry, with Marco Andretti remaining and Colton Herta joining Indy Cars. And then Thar could be a single car McLaren/Andretti entry for Fernando Alonso, who's only motivation for staying in Formula 1 at this point has to be the Pay-cheque', Ci? since although I like Fernando now, I'm just a Wee Bit tired over this constant Droning on 'bout becoming the next mythical Triple Crown winner. Especially since nothing's ever mentioned 'bout Juan Pablo Montoya getting two-thirds done first! And if JPM had won his Class this year, would that count? As it would be a definite Win for Indy Cars to have Alonso race Fulltime here next year, even if it doesn't solve any of McLaren's current Formula 1 woes, which this seems to possibly be some sort of Distraction for us not focusing upon McLaren's woeful F1 effort, Eh?